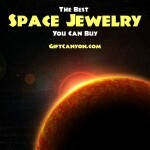 Home » Blog » Geek Gifts » Space Opera Fashion Accessories for The Space Geek in You! 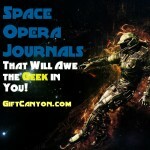 Space opera is a popular subgenre of science fiction which is full of action, adventure, space expedition, romance and a lot more. 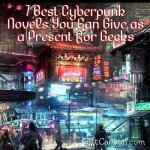 Space opera emerged from the 1930s but even up to this moment, this science fiction genre has become very popular and well enjoyed. 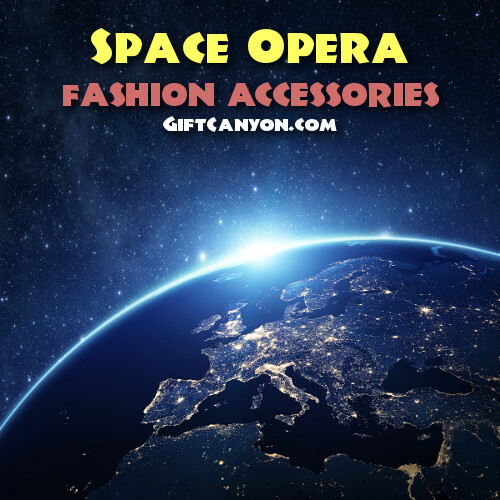 If you are a space opera fanatic or knows someone who does then you need to check out our great finds of space opera fashion accessories from our listing below for your reference. 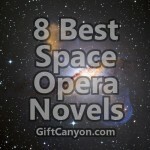 Have a taste of the galaxy just like in the space opera setting that you usually see in your space opera novel and films. 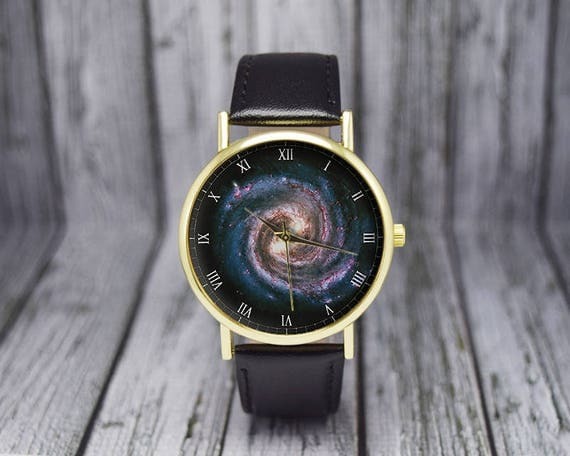 This galaxy space watch will take you to the space where you always wanted to be every time you check the time. This galaxy space watch is made to order and ships worldwide from the Philippines. You can choose the color of the leather strap between black and brown. The watch is made of Japan Quartz circuit and the watch is mostly of gold tone which makes it look classy and can be worn on almost any occasion. Black is such a dramatic color. 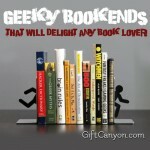 It blends with any color because of its plainness and basic dark color. When it comes to jewelries, we do see black most of the time as part of the charms and pendants to highlight the shape pf the jewelry perhaps but we can say that black onyx gold is eye catchy among the other jewelries. 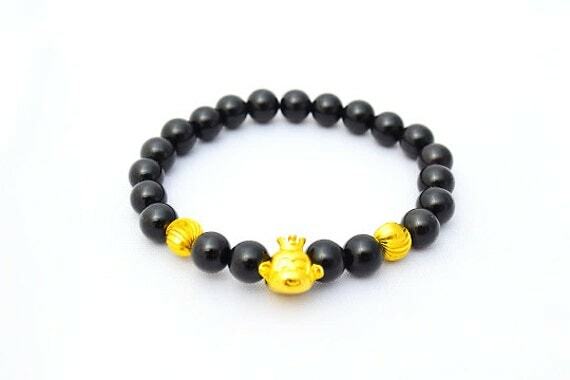 Check out this space opera inspired black onyx gold with the monkey king as the main décor of this bracelet. This space opera inspired bracelet is a handmade item which is made of semi-precious stones and natural agate bead of black color. 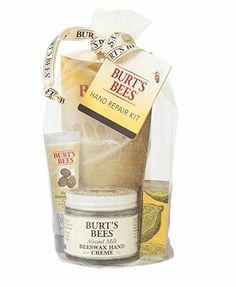 You can be a show stopper when you wear this around your wrist. 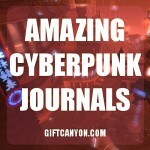 If you want to gift someone dear who has a thing with the color black and is also inspired by space opera at the same time then this fashion accessory would be a surefire hit for a surprise present! 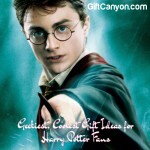 Gifting is quite a hard task to accomplish especially if you only know few details about your recipient. 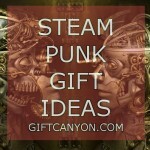 It would be nice to gift someone a present that is practical and can be used on a daily basis. 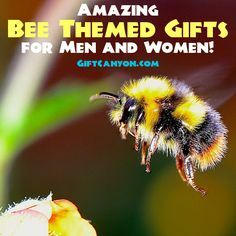 Some do see clothes as a good gift idea but if you are not sure of the measurements of your recipient then it would be safe to say that a fashion accessory would be the next big thing to be your target or theme for your gift idea. 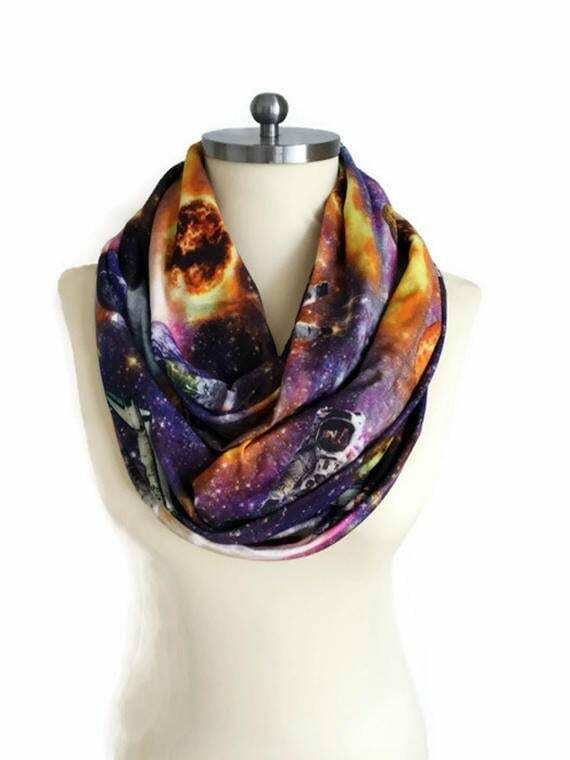 When you have a space opera fanatic friend and would love to have something that he or she can wear while reminding them of their favorite then this galaxy scarf could be the best gift ever! This galaxy scarf is an infinity scarf that can be worn in multiple ways possible. This space opera fashion accessory is greatly inspired by the galaxy and gives the wearer the taste of the unreachable outer space. This galaxy scarf is a handmade scarf which measures ten inches by sixty which is a great size to give the wearer a variety of options on how to wear it. This galaxy scarf ships worldwide from the country of Turkey. 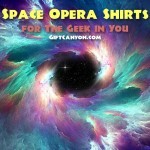 Even the little Einstein wannabes can get caught with the space opera fever. If you are a parent or would like to gift someone’s child a space opera inspired present then this neckerchew space rockers would be a great gift idea. This neckerchew is one of a kind bib not only because of the space opera inspired design but because of its extraordinary function. 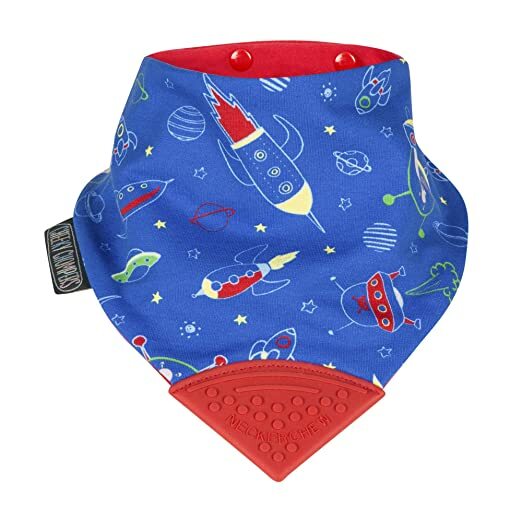 Aside from being a bib and neck warmer for kids, this neckerchew space rockets has a teether at the bottom edge. 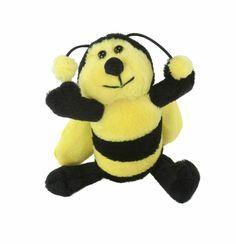 As a parent, we are often worrying when the child’s teether gets lost or falls down on the floor. That problem is not solved thanks to this newly designed neckerchew space rockets. The neckerchew space rockets comes in a reversible design which is done to mix and match with the child’s outfit. The materials of his neckerchew is ultra-soft to touch and can keep the baby or toddler dry for the rest of the day while wearing it. 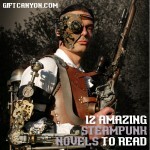 If futuristic fashion is your thing then you need to check out this space opera inspired head wrap. Feel like a space opera goddess by wearing this eye catchy head wrap. This head wrap has planets and the galaxy as its main design. 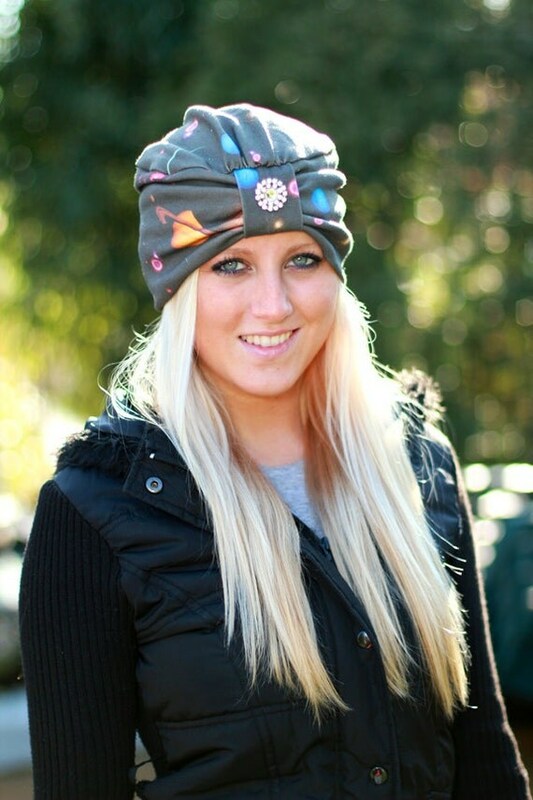 This head wrap is made of organic cotton which makes it comfortable to wear. 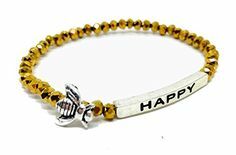 You also have the option to choose the rhinestone jewelry design on the middle to what shape you prefer be it a heart shaped rhinestone, round, teardrop or nothing at all. The full moon is such a scary phenomenon for many because as they say people mostly go crazy or things go out of proportion when the full moon is out. What more if there is a bloody red full moon? You can say that this full moon phenomenon is just a myth but even in the space opera novels this is also mentioned. 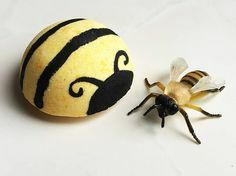 If you are a big fan of the full moon then this one of a kind fashion accessory would be a great bling to be added to your collection. 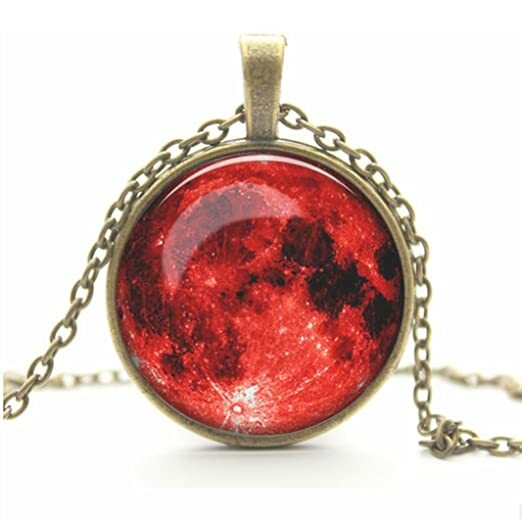 Check out this full moon necklace from Amazon. Even your pooch can look glam and live the space opera theme that you embrace through this charming spaceships bow tie. This very cute spaceships bow tie is perfect for your darling pooch to capture that space dog look that you always wanted. 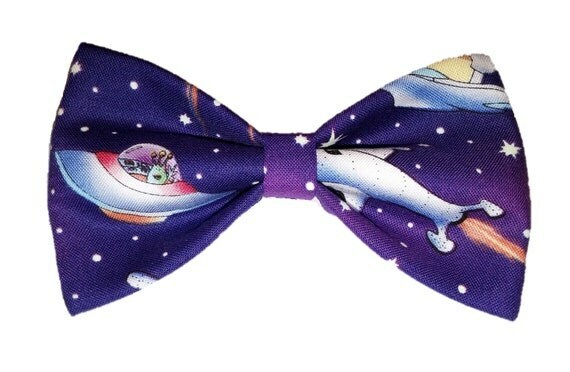 This spaceships bow tie comes in clip on, elastic, self-tie bow tie and even as a hair clip. 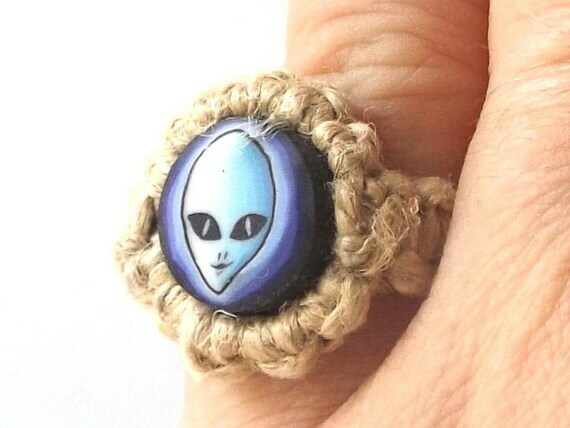 Alien and martians are often just seen on the space opera novels that we read but you can display them and use as a fashion accessory through this alien head hemp ring. This extra ordinary ring is made of macramé weave which features an alien head as the main décor. 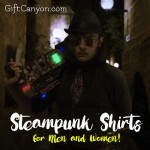 There are sizes to choose from and for sure there is one made just for you! 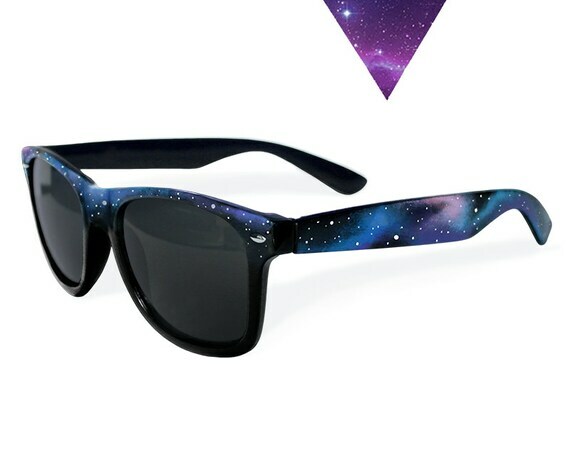 Get that galaxy look just like in the space opera novels that you see through this dark galaxy sunglasses. This dark galaxy sunglasses is hand painted and you can see the intricate details to be really astonishing. You can choose the lens from dark and clear lens as you please. Even the ones in the office or wears formal attire can have a taste of the galaxy through this outer space galaxy necktie. This space opera inspired necktie is a charming representation of the galaxy. 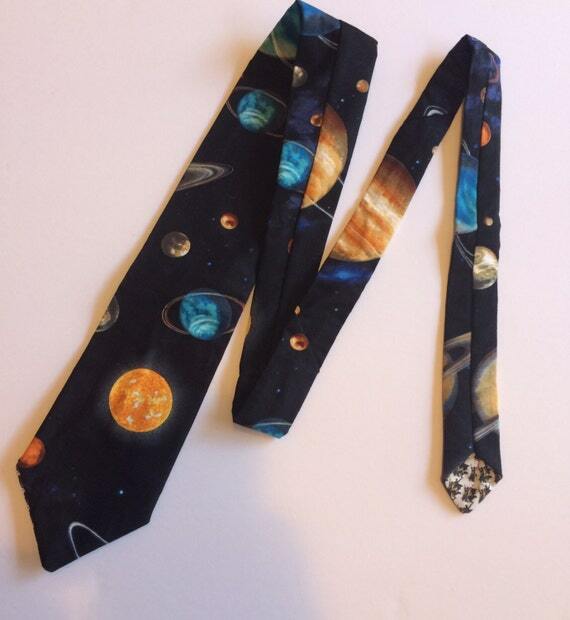 Complete with the planets, stars and the milky way, enjoy the taste of space through this one of a kind necktie.